Playing in its home opener Saturday afternoon at Kenan Stadium, the UNC men’s lacrosse team cruised to a 14-10 victory over the Furman Paladins behind a pair of dominant performances from senior Andy Matthews and freshman Zachary Tucci. Matthews didn’t score a goal but tallied a career-high five assists in the game, while Tucci won 21 face-offs and picked up 10 groundballs. The 21 face-off wins were just two shy of the program’s all-time record for a single game. With the win, UNC improves to 2-0 to start the 2019 campaign. Furman drops to 0-2 with the loss. The Tar Heels built an 8-3 halftime lead and led by as many as eight goals during the early portion of the fourth quarter before Furman fought back to make the final score a bit more respectable. 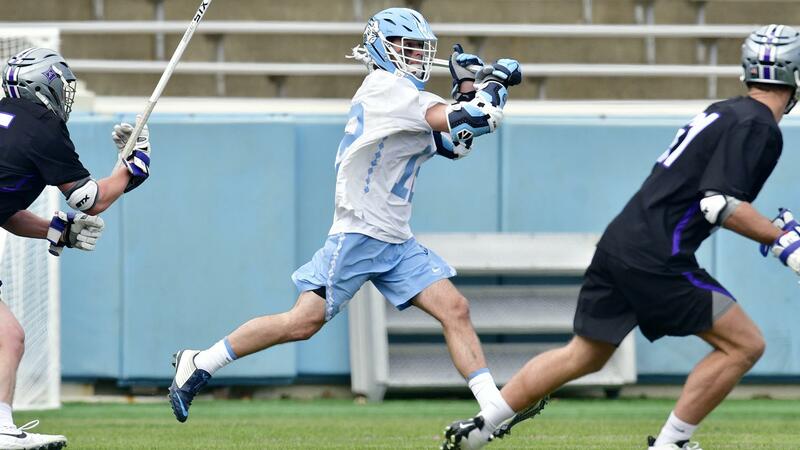 Alex Trippi led UNC with three goals, followed by two apiece from William Perry, Brian Cameron and Ara Atayan. The Tar Heels will be back in action next Saturday, when they host Harvard in a game set to begin at noon.